Well hello circle watchers! Despite my post last week I have been a little off my game watching the crop circles lately. Here are the latest I am aware of. 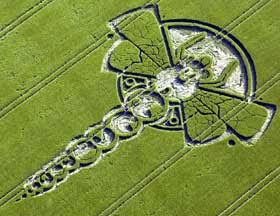 near Chiseldon, Wiltshire, England, reported June 5, 2009. 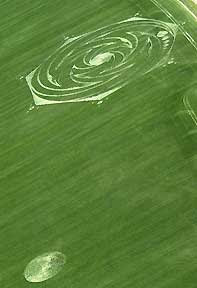 Aerial image © 2009 by Russell Stannard. 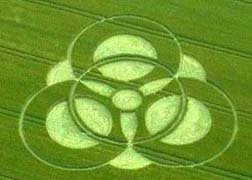 Images and information by: Cropcircleconnector. 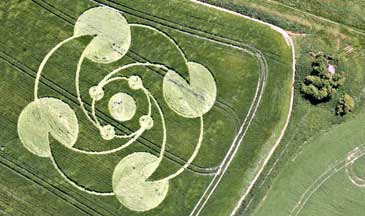 near Yatesbury, Wiltshire, U. K. Aerial image © 2009 by John Montgomery. © 2009 by Lucy Pringle. Images and information by: Cropcircleconnector. by Steve Alexander; graphic comparison 2009 by Australian scientist. 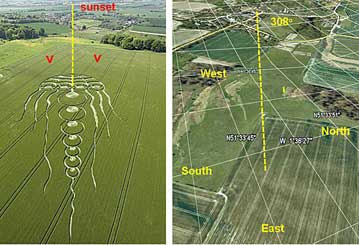 If you would like to check out the originals you can go to www.cropcircleconnector.com or www.earthfiles.com.